I am, what you would call, a veritable gourmand. I love food! And just looking at somebody else cooking makes me drool. But, when you have food allergies, it's not always easy to enjoy a good meal. Especially when you can't be sure of all the ingredients that went into that delicious meal sitting in front of you. And when you also have a peculiar allergy, like being allergic to dill, for example, it's even harder to make sure it's not somewhere hidden in your meal. Until you can taste it. And that's when the nightmare begins. But now, all your meals can be as pleasant, and most important, as safe as the ones you cook yourself. 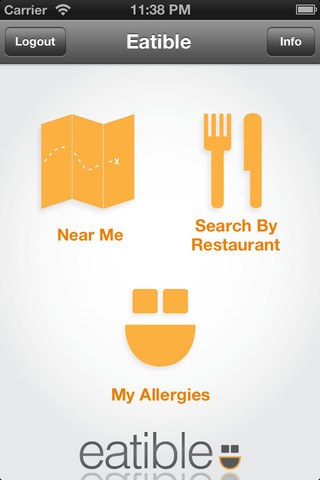 Because, with Eatible, you're one tap away from discovering all the allergens in your meal, whether you're in a restaurant, a Fast Food, or any other place that serves food. 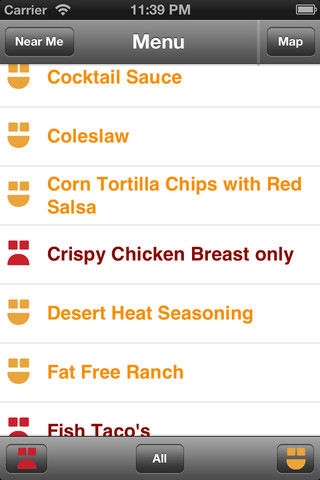 With Eatible, you know what allergens can be found in every dish at the restaurant you're in. Select the ingredient you're allergic to from a list of most common allergens, and put Eatible to the test. 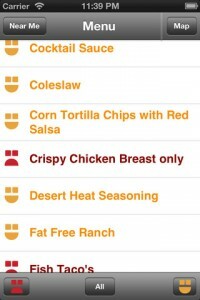 Search for restaurants near you, or look a certain restaurant up to see which meals are safe to eat, and which you should avoid. Every meal that's good for you is marked with a smiley face, while the ones that are not, are marked with a red sad face. And this is not just for the sake of design. This makes it easier for you to spot the dishes that aren't good for you. Plus, you can also choose to explore the entire list of dishes, or just take a look at the ones you can or, quite the contrary, the ones you can't have. And with a single tap on the dish, you can see all the allergens it contains to make sure you have everything under control. 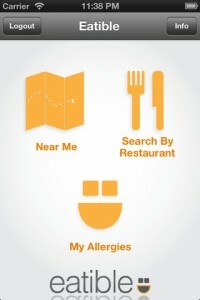 Now, Eatible seems like a pretty trustworthy app, and the creators look like they're really interested in your feedback, always trying to discover new allergens and the dishes where you can find them. But, since the app is just at the beginning of its journey, you might not find your allergen in the list, especially if it's not so common. And Eatible also has a pretty narrow range of restaurants so far. 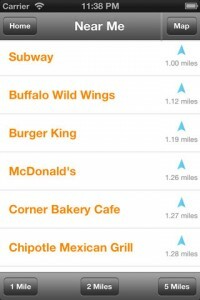 However, I think Eatible is a promising app. You'd probably still tell the chef about your allergy to make sure your meal is safe to eat, even if Eatible says it is. But, with a bit of help from us all, Eatible can grow so much, that wherever you'll go, you'll know what's right for you to eat. What do you think of Eatible? Scroll down for our comment section and let us know!